Say Hi to next summer with a lot of fun and happiness. But before this, you need to prepare well how to welcome your summer. 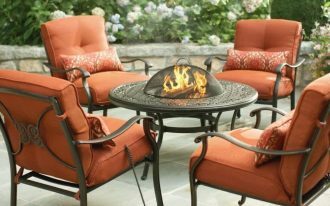 Providing the best spot and make it the coziest place to warm up your body and to get the summer party is the answer, and you’ll get a lot of fun for this. What about the tiny outdoor area? Can we enjoy the party in such a small area? 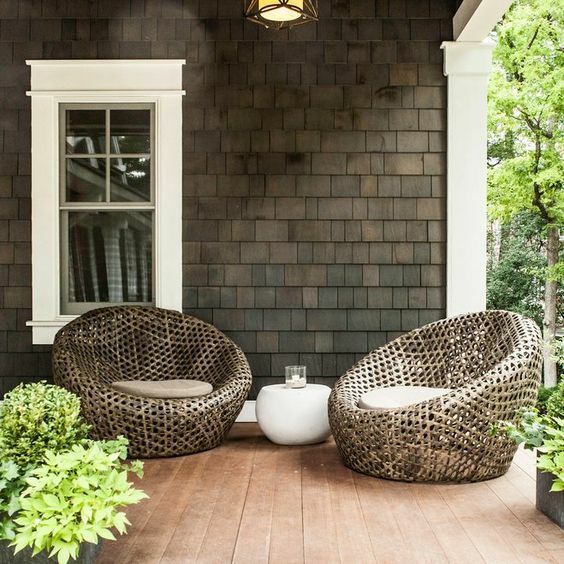 Makeovering an outdoor space doesn’t always mean doing the transformation to all entire space, but you can do a little starting from the furniture choice, for instance. 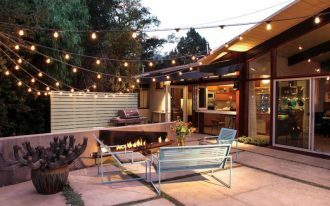 Size, design, proportion, and quantity become the important aspects you need to consider for small space, and these take the important role to embrace your outdoor space visually. To accommodate your curiosity about the genius furniture that perfectly fits the small outdoor space, here we’re gonna share some for you. Hopefully the list will inspire you. 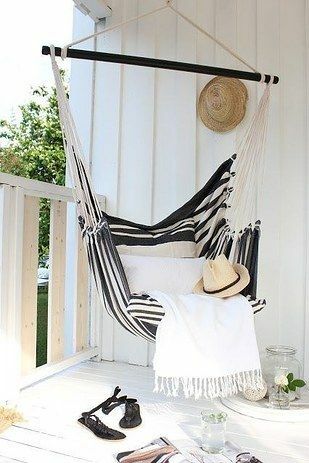 Hammock is one of most recommended outdoor properties that effectively save amount of space. 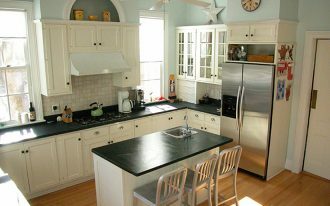 Visually, it’s easier to be a cool statement of space. 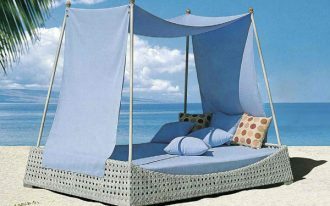 With this, you can imagine how fun you are when laying your body on such a cozy hang stretched-out fabric. Feel so relaxed. 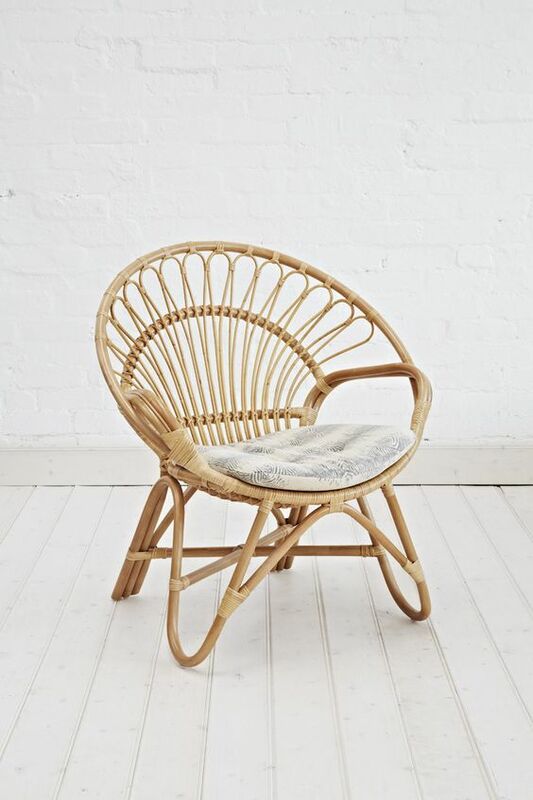 Rattan furniture for celebrating your summertime – a small piece to comfort you when you’re rising your wine on summer party or when you’re enjoying your sunniest day. 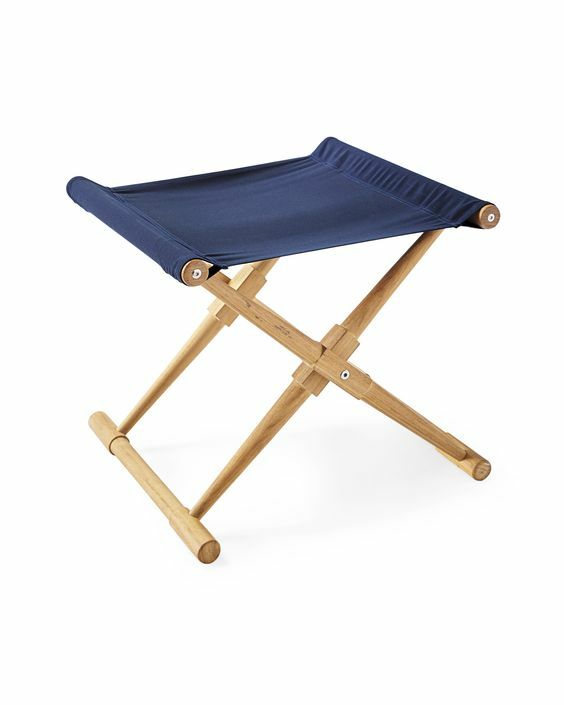 Camp stool – it’s foldable and chic, suiting for small balcony. Its teak material obviously gives warm feel to your outdoor space. This practical piece will help you when you really need it or just want to kick it off. 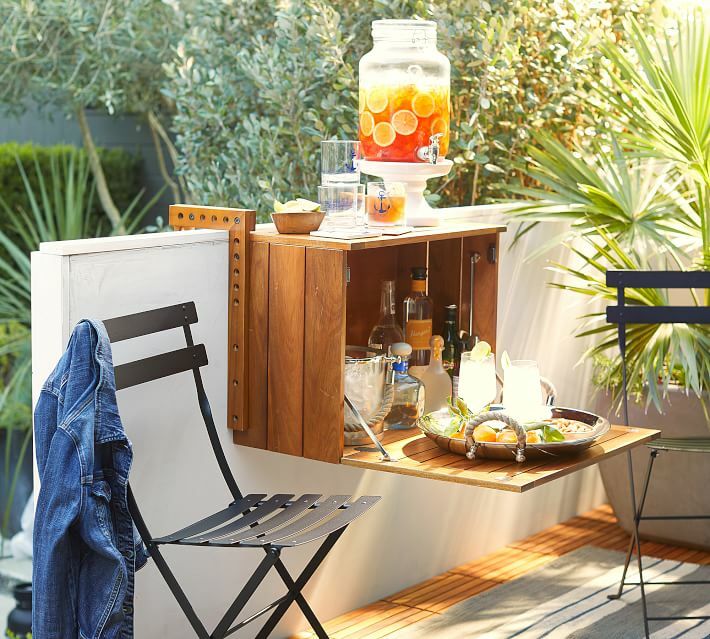 Need a patio bar but worry about the space availability? This bar cabinet probably becomes the best solution. It’s genius as it’s hung over the railing of balcony/ patio. Made of wood, this storage unit isn’t merely smart, but it’s also durable and stylish. 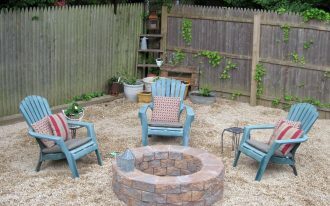 Try to be bold and make your neighbors stop and get notice about your beautiful patio. 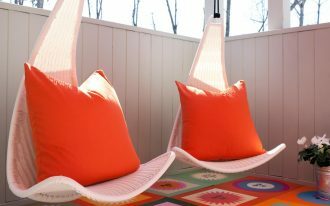 A bright red lounge chair will show you up how to be the prettiest one among other patio’s essentials. 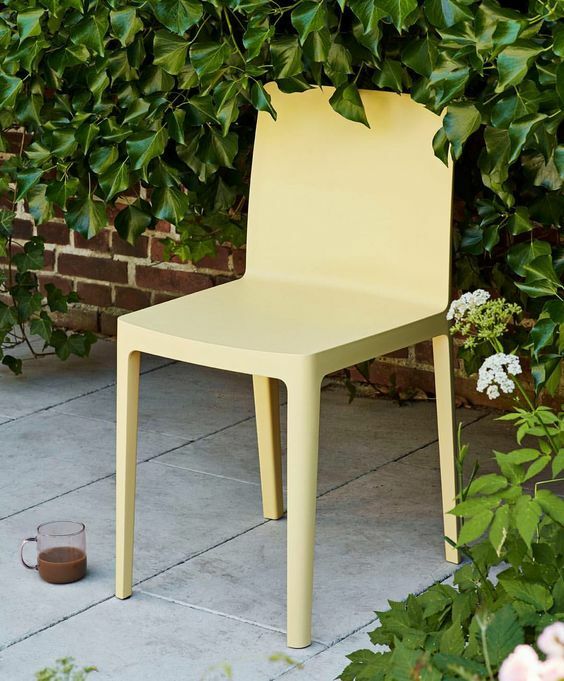 The chair is designed to be aesthetically simple yet functional. Its hue options, available in soft color schemes, totally will hit the space, and these tones apparently bring the simplicity & beauty of Danish style. Another point plus is that the chair is weather-friendly so it’s the perfect choice when you want to hang out in your patio for just a while. 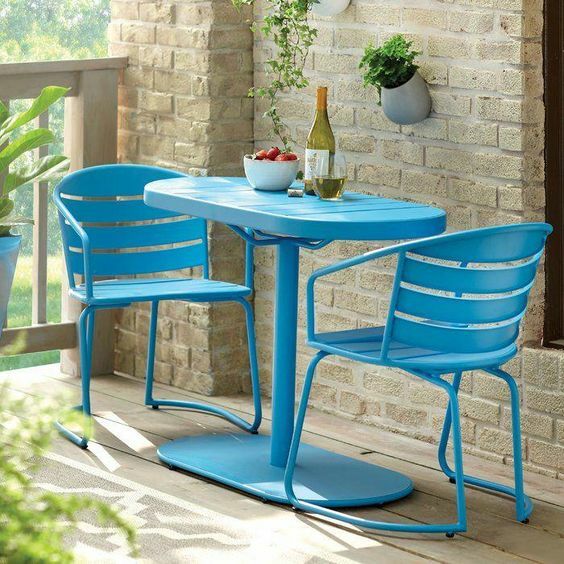 Make your patio more stylish and stunned simply with these bistro set. The set consists of a table and a couple of chairs, and they are designed in vividly bright blue hue perfectly finishing the crafted metals. 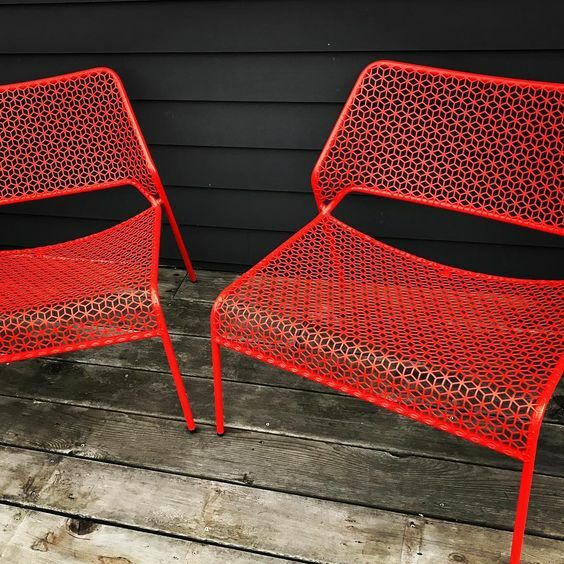 The design physically showcases the simple yet cozy to sit, and the color of course looks so striking so it can potentially be a focal point in your patio. This is an instant way how to make your patio huge. A couple of bamboo chairs can help to create a larger visual effect in this space, but get the notice to not put more numbers of furniture piece. A small side table is enough to complement these big-volume bamboo chairs. 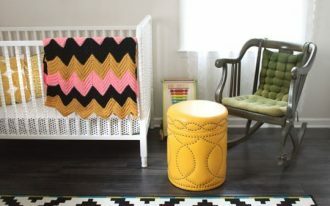 Simply add a small console table to complete these different seats. 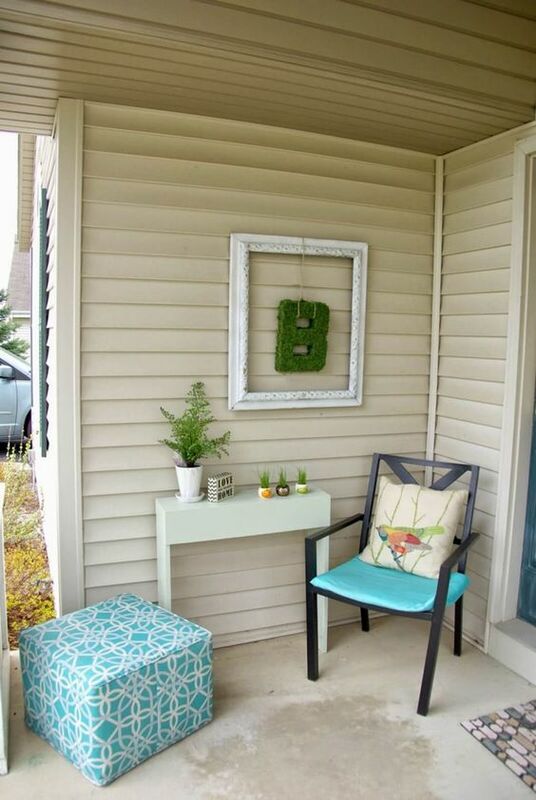 This is an easiest way to create a seating nook in your small terrace. With such a perfect layout, the seats will direct you to keep focusing on the view outside. 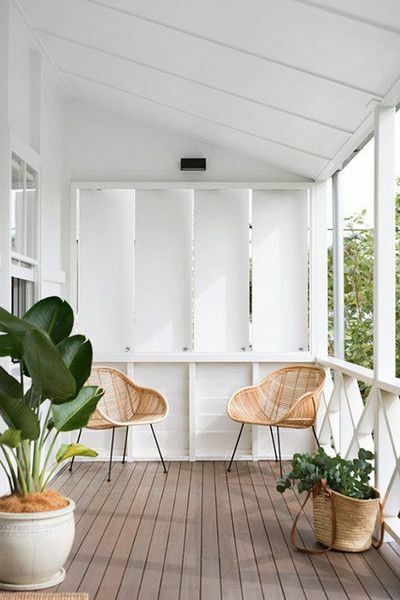 Wicker chairs – another great option for bringing up the simple, modern, and stylish look into your tiny front porch. Look at the design. 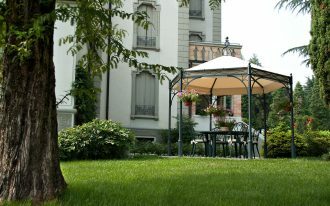 It’s providing the comfy place to sit while enjoying the sunny days. Supported by tiny firm metal legs, the chair offers good durability.